No, I’m not jet-lagged. 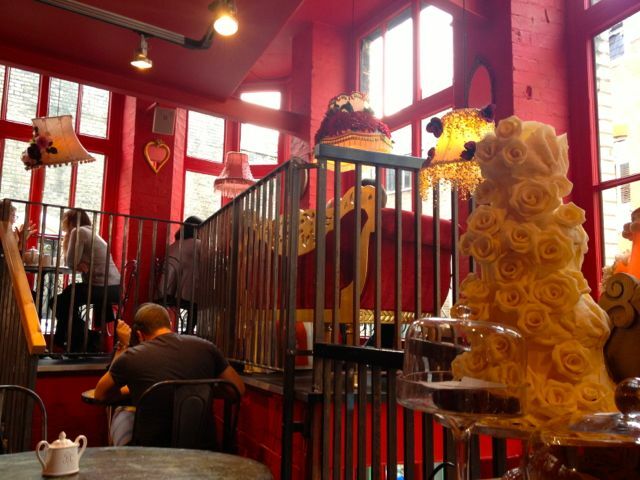 Choccywoccydoodah is the name of a very cool chocolate and cake shop in the UK and we visited its London store for afternoon tea. If you can imagine Willy Wonka and the Cake Boss joining forces and then increasing their over the top-ness by the power of 10, you’ve pretty much got the idea. It’s a bit crazy. Here are some of the cakes that were on display. Yep, they’re all cakes. And then there was the upstairs cafe, with another giant cake on display (the rose one in this picture) along with a huge range of amazing-looking cakes on sale by the slice. Pretty much enough to induce a sugar coma just by looking at them. Most of the cakes were made of several layers, with a whole heap of marshmallows or sweets on top for good measure. Like this one. It was a chocolate, gingerbread, coconut cake. But you can’t really see it, because the huge slice appeared on a plate under chocolate drizzle and ice cream. We also ordered a chocolate flapjack, in case one piece of cake wasn’t enough. We hadn’t realised the one piece of cake would be as big as my head. Needless to say, we rolled out of the shop after eating as much as we could. Which really wasn’t all that much. 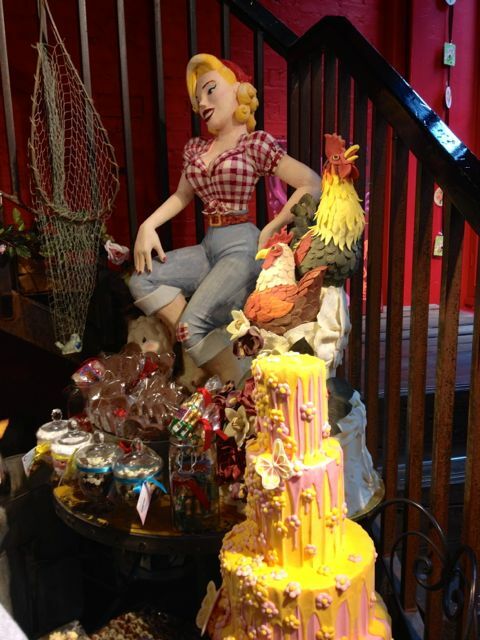 You can have a look at the amazing work of Choccywoccydoodah here. 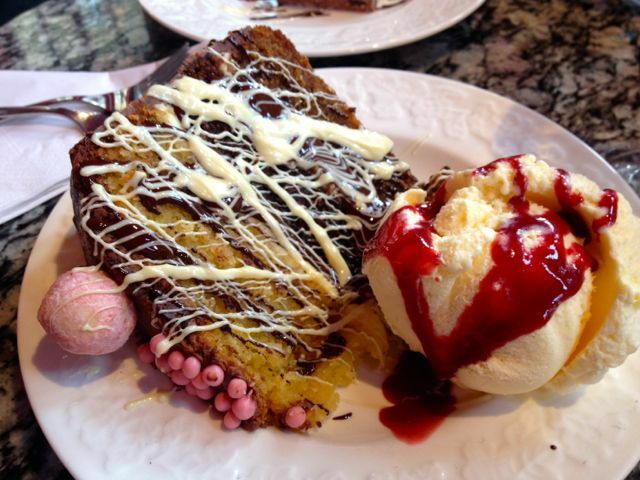 And just a tip – if you’re going for cake, don’t have breakfast, lunch or dinner that day. 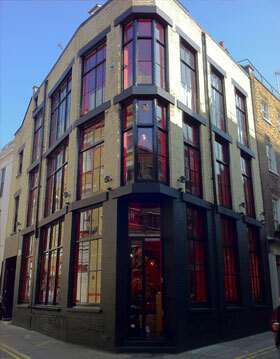 somehow i’ve never noticed this place… even though i see its just off Carnaby st… wow!